Oh, those crazy Salkinds. If you’re not a Superman fan you probably don’t have a clue who Ilya and Alexander Salkind are. Back in the ‘70s and early ‘80s they had huge aspirations for the U.S. film industry. They wanted to be the next Cecil B. DeMille or David O. Selznick. They were off to a great start with the back-to-back hits of The Three Musketeers and The Four Musketeers in the mid-‘70s, and then they scored a grand slam with Superman: The Movie. Unfortunately, each succeeding film in that series suffered diminishing returns until they crashed and burned with 1984’s epic failure Supergirl. 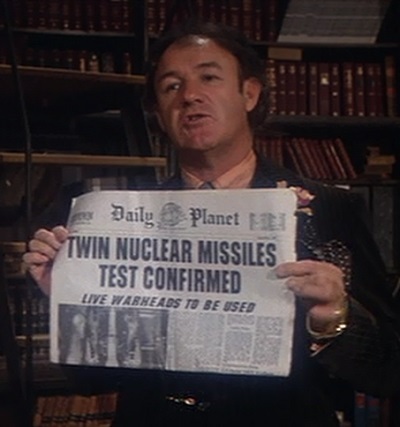 1987’s Superman IV: The Quest for Peace also bombed, but at least it wasn’t on the Salkinds’ watch. Golan-Globus is to blame for that debacle. Looking for a new pop-culture figure to turn into a huge franchise, the Salkinds set their sights on jolly old Saint Nick. It seemed like a perfect fit. He’s sometimes called Kris Kringle while Superman goes by Clark Kent. He can leap from chimney to chimney in a single sleigh ride. He has the power to stop time one night a year while Superman can reverse time. Donner is now relegated to a reindeer rather than the film’s director. And, to top it all off, Santa is practically Superman’s neighbor at the North Pole. Unfortunately, Santa Claus: The Movie didn’t even earn back half of its budget at the box office. It proved to be surprisingly underwhelming when you consider the talent, money, and seemingly surefire concept that went into this film. What went wrong when this film shares so many similarities to the far-superior Superman: The Movie? Let’s find out by comparing Santa Claus: The Movie and Superman: The Movie. The actor who plays the titular character is billed behind two much more famous actors. Each film tells the hero’s origin story. The hero travels to the North Pole where his home suddenly appears. A sage teaches the hero how to use his powers. The movie is extremely serious for the first part, but then it switches to a lighter tone for the second half. The villain is a crooked businessman with a hare-brained scheme to make money. 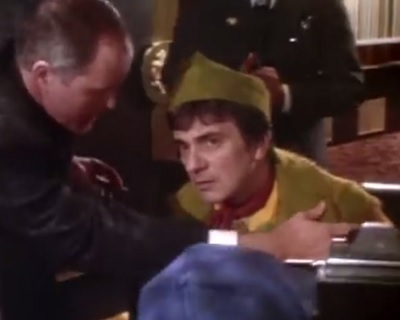 The villain is betrayed by one of his underlings. The hero chases an explosive device through the air. The hero performs a dangerous maneuver to save the ones he loves. 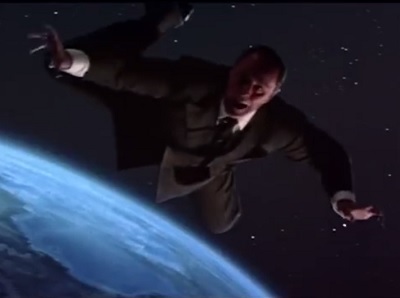 Each film’s final image is of someone flying through space. Let’s go in depth on each of these bullet points. It’s interesting to note that the actor who plays the titular character isn’t given top billing in both films. 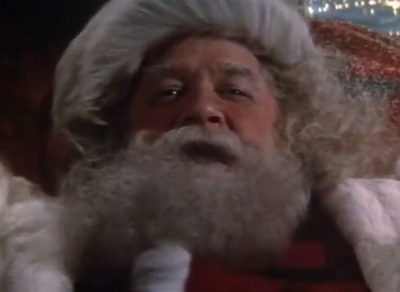 In Santa Claus, Dudley Moore (an elf) and John Lithgow (a corrupt businessman) are both listed ahead of David Huddleston (Santa Claus). This is exactly the same as what happened in Superman when Marlon Brando (Jor-El) and Gene Hackman (Lex Luthor) were billed ahead of then-unknown Christopher Reeve (Superman). This seems to be a pattern the Salkinds have of listing big-name actors at the top to gain credibility and respect for their film productions. They also tried this with 1992’s Christopher Columbus: The Discovery with even less success. The first part of the story tells the hero’s origin. Santa Claus starts as a regular mortal who delivers presents to villagers before discovering his destiny, which is to deliver presents to children all over the world. Clark Kent spends his youth pretending to be a regular mortal in a humble farming community before discovering his true calling in life as the world’s greatest superhero. The main character goes to the North Pole and sees a house magically appear out of the snow. Mr. Claus and his wife get stranded by a snowstorm, but they are saved by some elves who transport them to the North Pole. A grand house appears out of empty space, where he and his wife will live. A young Clark Kent feels an irresistible urge to head north, and once he arrives in the Arctic, he throws a crystal his father gave him, which transforms ice into a house resembling one from his home planet of Krypton. He stays there for a dozen years and later returns from time to time for guidance. A wise old man shows the main character the ways of the Force, or something like that. 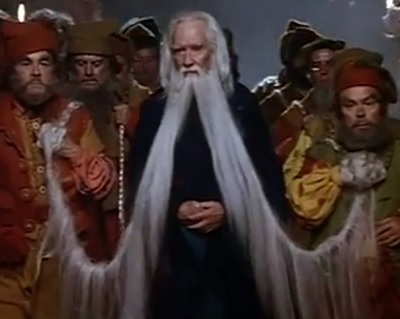 An old elf, known only as the Ancient One, grants Mr. Claus immortality and gives him power over time and space so that he can fulfill his mission as a universal giver of gifts each Christmas. 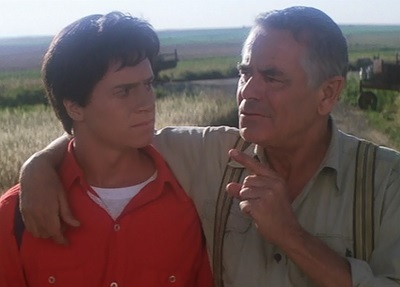 Clark’s father, Jor-El, imparts wisdom to his son about the nature of his superpowers and immortality so that he can do his job effectively. The tone of the film changes from serious in the first half to more humorous in the second. This isn’t a criticism; it’s just an observation. Santa Claus attempts to show reverence for the titular character by giving his backstory emotional depth and keeping humor to a minimum, except where the elves are involved. The rest of the movie adds a number of jokes and other soft elements to lighten the mood, but it also has plenty of dark and serious parts that make it difficult to tell what tone the movie is going for. There is practically no humor to be found in the Krypton and Smallville scenes of Superman. The iconic character is given a masterful origin story. This is followed by a wonderful shift to Metropolis where everything is fast paced, the characters have witty dialogue and humorous interactions with each other, and the action comes fast and furious. Somehow, Superman finds the right balance between serious drama and lighthearted comedy while Santa Claus feels uneven. A businessman has an evil plan to get rich. B.Z. is an unscrupulous businessman who wants to take over Christmas. With the help of a naïve elf named Patch, he creates candy canes that are supposed to make people float, but it turns out that they explode if they get too hot. Lex Luthor is a criminal mastermind who’s obsessed with real estate. His plan is to use a nuclear bomb to wipe out the California coast so he can swoop in and take over the new coastline. He doesn’t care how many people will die in the process. Someone who works for the villain gains redemption by turning on them in the end. Patch isn’t such a bad guy. Once he learns of B.Z.’s intentions, he tries to put things right. However, his actions nearly doom himself when he heads off in a flying car full of rapidly heating candy canes. Eve Teschmacher is one of Lex’s underlings. When she learns that one of the nuclear bombs Lex has launched will kill her mother, she helps Superman stop it. By doing that, she puts herself in great danger of Lex retaliating. The climax involves the main character flying after an explosive device. Santa finds out about Patch’s predicament and flies off in his sleigh to intercept Patch before he is blown to bits. Superman promises to stop the missile headed for Miss Teschmacher’s mother, and he does so in spectacular fashion. The main character does something risky to save people from certain death. Santa has tried for years to get his reindeer to do a special move called the “Super Duper Looper,” but they’re always too afraid to complete the dangerous loop. 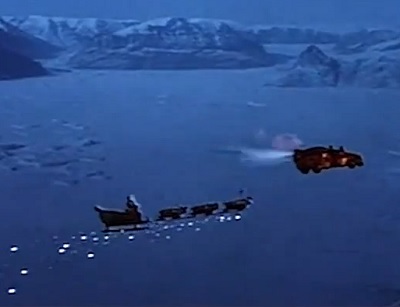 However, in order to save Patch from his exploding car, Santa and his reindeer finally execute the Super Duper Looper perfectly. Superman is too late to save Lois Lane from dying in an earthquake. Jor-El has warned him for years that he is forbidden to interfere with the natural course of human history. 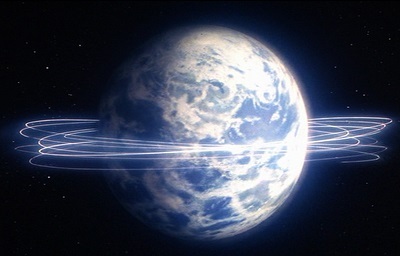 But in a moment of emotional anguish, Superman disobeys his father and spins the Earth backwards to reverse time and give himself a chance to save Lois. The last thing we see is a character flying high above the Earth. B.Z. escapes from the police by eating some of his candy canes and floating out of his high-rise office. However, he eats too many and floats all the way out of the atmosphere into space. The fact that he’s able to scream at that point is a slap in the face to Alien. 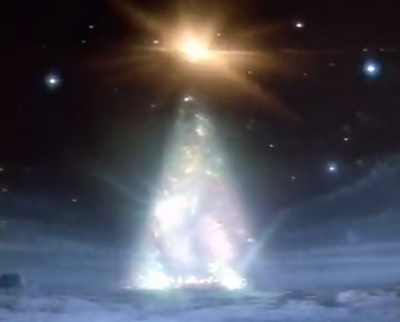 Superman, of course, ends on one of the most iconic final moments of any film. After saving the day and putting Lex in jail, Superman heads out into space to take a look at the world he loves… and smile for the camera. What Santa Claus tried to do farcically, Superman did with seemingly effortless charm. Santa Claus: The Movie zagged everywhere Superman: The Movie zigged. Many of its plot elements are different than Superman’s, but there are enough similarities to make it obvious that the Salkinds were playing it safe trying to recreate their past success rather than doing something new and innovative. It just goes to show that you should never steal from the Man of Steel. That’ll definitely get you on the naughty list. This entry was posted in Movie Matchups and tagged 1980s, action movies, christmas, comic books, films, holiday, movie review, movies, santa claus, science fiction, superman. Bookmark the permalink.